Keanu Reeves could become the star of the live-action English adaptation of Akira. It's been slow going for Warner Bros. in its attempts to create a live-action version of Akira, but the project might at least might soon have a star. Hushed whispers have indicated that Keanu Reeves, who did some of his best work in the Bill & Ted series, Point Break, and The Matrix, is in talks to be considered for Akira's lead role. 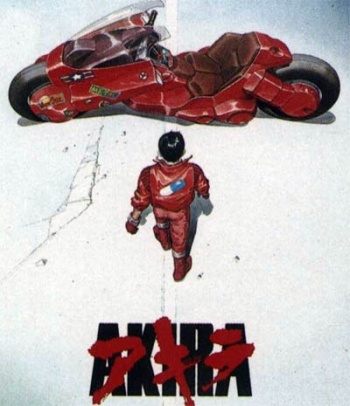 Akira is often thought of as the anime that helped bring anime to the world. Katsuhiro Otomo's multi-thousand page manga of the same name adapted into the 2-hour film follows a futuristic biker gang from 2019 Neo-Tokyo that becomes involved with a government program revolving around test subjects with psionic powers. Reeves would evidently play Shotaro Kaneda, the lead in the film and the guy that owns the awesome bike on Akira's cover. Actors such as Brad Pitt, Joseph Gordon-Levitt, and Ryan Gosling are said to have been considered for the role of Kaneda in the past. If Reeves signs on, it could help bring in another big name for the role of Tetsuo, a member of the biker gang that becomes the film's psionic antagonist. Producers need at least one star that can bring a worldwide draw, as Akira is rumored to be an extremely expensive project with a budget in the hundreds of millions. Co-financier Legendary Pictures recently dropped out due to foreseen risk on the somewhat nichey project. If Warner Bros. wants Akira to continue moving forward, Reeves could be its solution. Just try to imagine Reeves yelling: "Tetsuuooooooo!"